Where is SeniorNet Motueka ? SeniorNet Motueka is at 42 Pah Street, Motueka. Click here for map. Our postal address is PO Box 297, Motueka 7143. Email contact here. The club was first formed and incorporated as a charity in 1998. Initially we used leased rooms in the old Motueka hospital building and other premises. 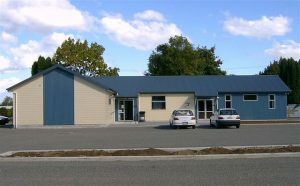 Then in 2005, after a period of fundraising and much work by members at that time, SeniorNet Motueka moved into its own brand new building. Our club is unique in New Zealand SeniorNet in owning its own building, as well as a suite of modern computers. Current membership numbers around 340 and growing! A wide range of learning sessions is offered, from introductory courses on using computers (PCs, Macs or tablets), to managing files and folders on your device, word processing or email. Also available are sessions on subjects such as: editing your photos, shopping online, using social media, capturing music files, understanding spreadsheets or desktop publishing. There are a number of active special interest groups on topics such as digital photography, genealogy, iPad, Android and Mac. These groups meet monthly. Club meetings with guest speakers are held monthly, open days for members are regularly held, as well as twice monthly drop in “Help and Support” sessions. 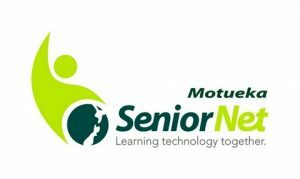 SeniorNet Motueka is a member of the Federation of NZ SeniorNet Societies Inc, and through this relationship, enjoys access to teaching resources from other SeniorNet clubs and secures representation to government departments. The Federation also has agreements with a number of businesses where SeniorNet members can obtain discounts. Visit our membership page or contact the membership secretary. Current committee members are listed on our committee page.